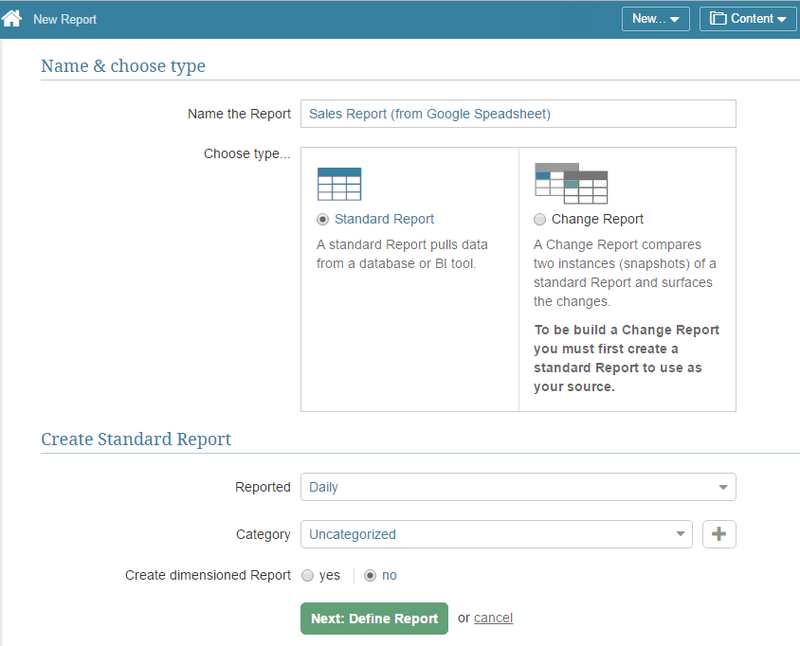 A Metric Insights element can be populated automatically based on data fetched from a Google Spreadsheet. 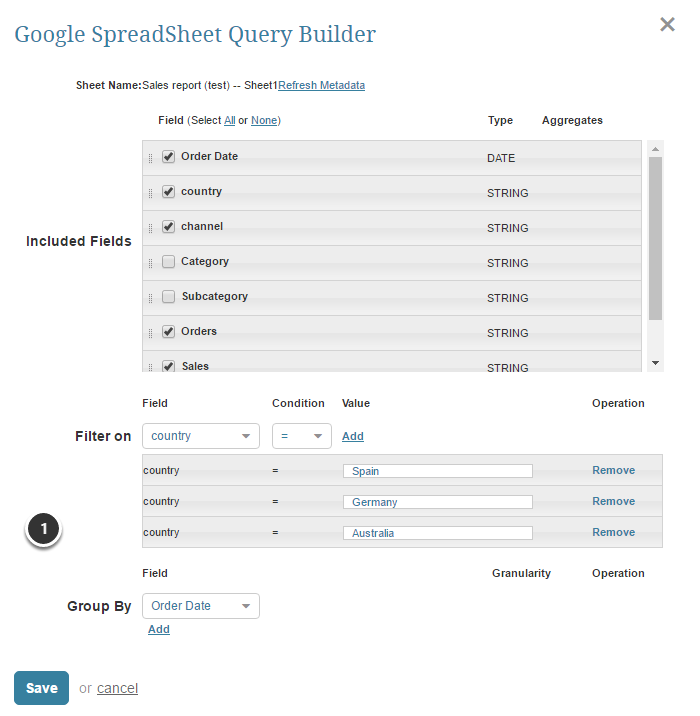 You must have created a Google Spreadsheet Plugin that is set to access Google Spreadsheets to serve as your Data Source. 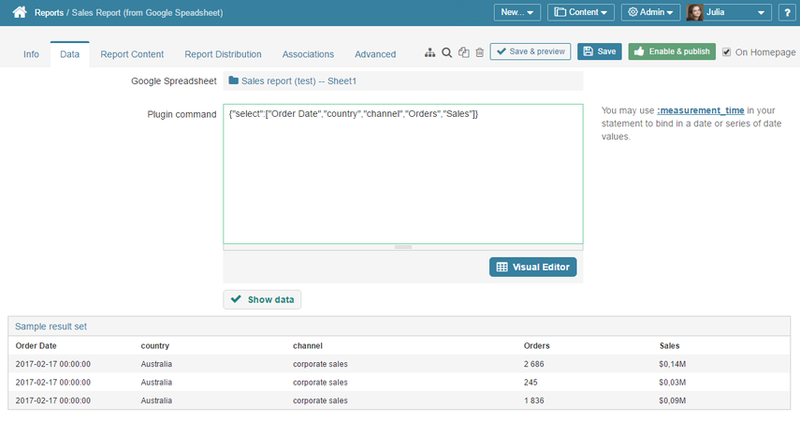 Once you are ready with you command, click Show Data. The Google Spreadsheet Query Builder allows constructing commands without the need to learn the plugin syntax and avoiding typos/mistakes. Save your settings. Plugin command validating will start automatically. If the command is validated successfully, the Sample Results set is going to be shown below. This Report is going to be automatically updated upon the Data Collection Trigger, assigned to in in the Editor.